This large-flowered angelonia is new to us this year and quite a beauty. Sometimes know as summer snapdragon, the long flowers resemble snapdragons and are also great for cutting. This particular hybrid makes quite the statement as it’s blooms are more than 4x the size of usual angelonias. The species has always been well adapted to South Florida being heat and drought tolerant as well as tolerant of long periods of rain. 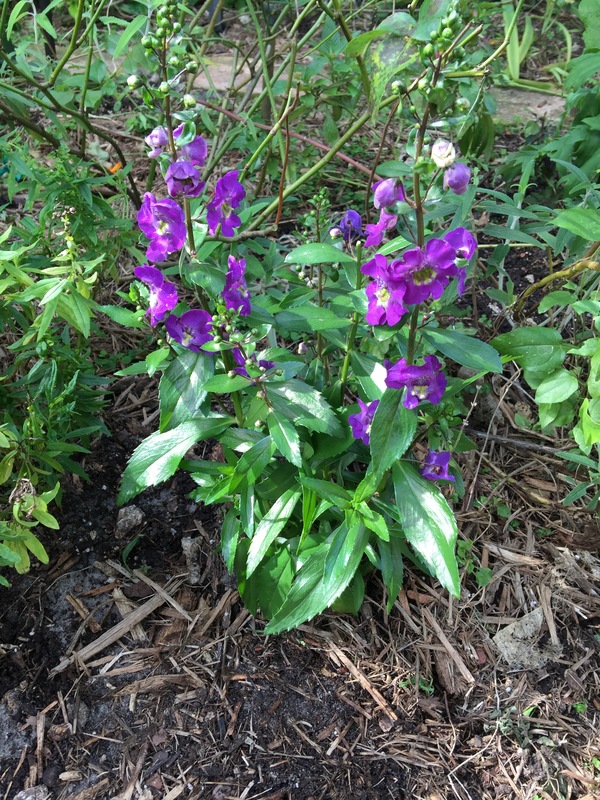 Although Angelonia is a perennial and relatively long lived in South Florida, we’ve never had one last longer than two years. But that’s still a long time for blooming power such as this. This variety was introduced by Proven Winners and we’re excited to see how well it does in our garden. As an added bonus it attracts bumble bees and butterflies too.